Dental Implant Dentist and Same-day Fixed Teeth Implants in Twickenham – London (close to Richmond), Middlesex. Mrs G attended with failing fractured upper right premolar. The tooth was extracted , we performed a minor sinus bone graft and restored the area with a dental implant. Mr. C was very worried and upset with the condition of his teeth. He had returned to the dentist again and again and was actually rather fed up. Mr Roder attended with a missing upper central incisor. The tooth had been missing for several years – he was now wearing a partial plastic denture. Ms G attended with a missing Upper right front tooth. These cases can be very challenging. All concerned were very happy with the results obtained with a single dental implant. 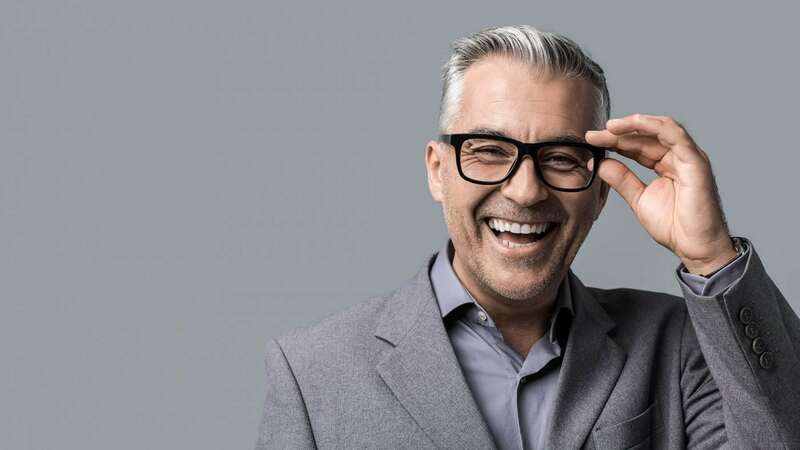 Same day full-mouth implants can give you a completely new smile so that you can eat and chew with greater confidence than dentures. An experienced clinic – to bring the best treatments available for missing teeth in the UK. Backed by 30 years of clinical experience, with 25 years of experience with dental implants. 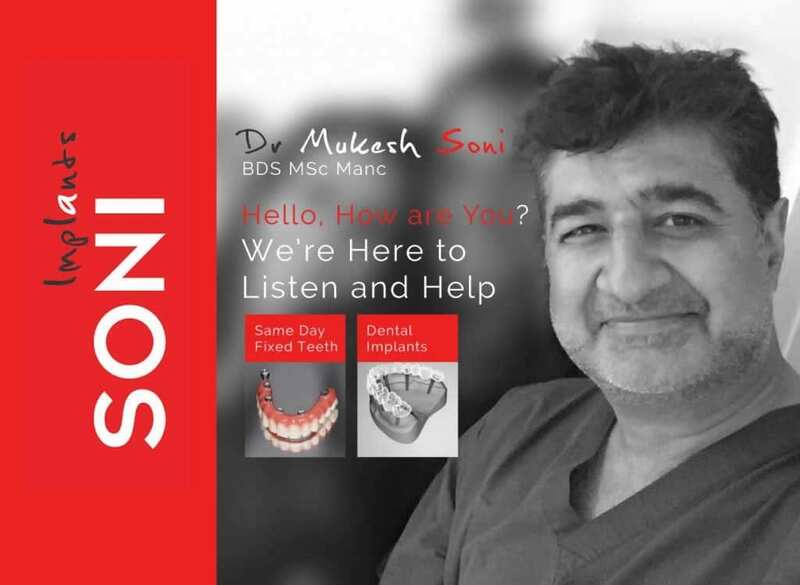 Dr Mukesh Soni is a Master’s Qualified UK & international mentor and lecturer to other dentists, having successfully placed over 8,000 dental implants. Dr Soni also lectures in the UK and abroad to other dentists on Dental Implants and is a mentor to UK dentists on implantology techniques. Dental implants in Twickenham restore the attractive appearance and healthy function of the smile after tooth loss. 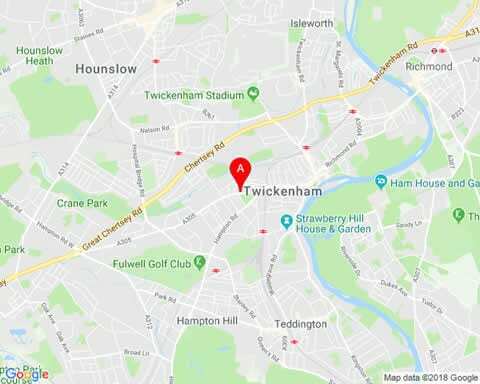 We have two clinics: in Twickenham (near Richmond) on the borders of London & Middlesex. You're in Good Hands - Soni has been placing Dental Implants for 25 Years. We have successfully placed over 7000 Implants. At Soni You Always Come First. Fixed-Teeth in a Day (with Implants) £9,957 Per Jaw. I finally have a beautiful set of straightened teeth for the first time in over 15 years. My confidence has soared; no more hiding my face or looking away from people when I talk! To think that it’s all been achieved within eight months is incredible. Thank you Dr Soni for all your help. I am very happy with the final results. Thank you for your professional and thorough approach. I feel that I have my own teeth back. Thank you Dr Soni and your team. Thank you Dr Soni for this very natural looking tooth. I was very nervous but your team calmed me down and I would recommend you to any one. "How can I help today?"